Currency: Cuba uses two distinct currencies: Cuban Peso (CUP) and Cuban Convertible Peso (CUC). CUP can only be used by Cubans and residents of Cuba. Visitors to the island will be doing most, if not all, of their transactions in CUC. It is technically the only currency tourists are allowed to use. Prices at most restaurants and shops will be displayed in CUC. Opening hours: Most establishment in Santa Clara tend to open between 10 and 11am. Restaurants and bars can stay open late, while shops usually close in the early evening, at about 6pm. 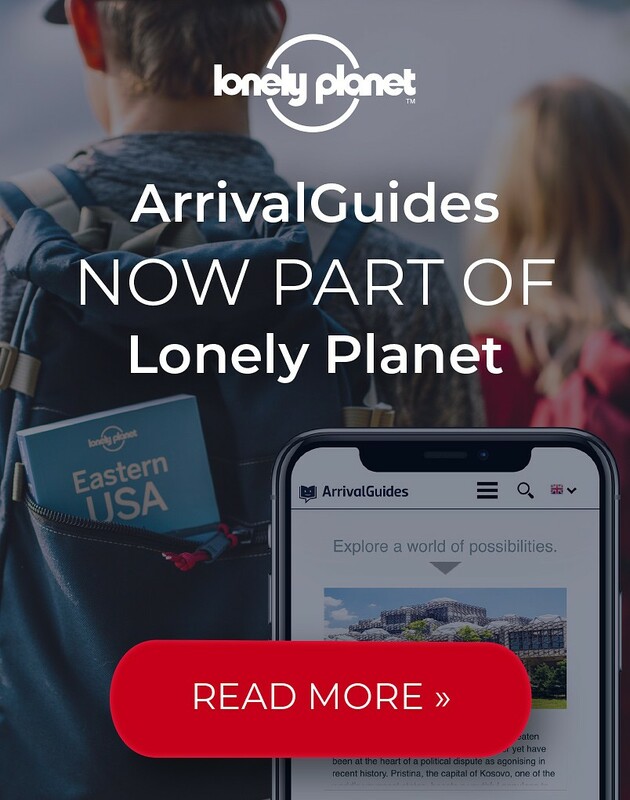 Life in Santa Clara is geographically centered around Parque Vidal, a pleasant park and square surrounded by museums, theaters and concert halls, all housed in some of the city's most beautiful buildings. Thematically, though, it revolves around Che Guevara and his role in the revolution and the battles fought here. Be sure to visit his mausoleum and the museum dedicated to his memory and struggles. 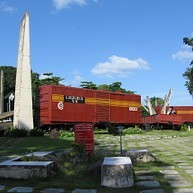 The legendary revolutionary's remains, along with those of a few dozens of his fellow combatants, are buried at this location, having been transported here from Bolivia during the 1990's. Idolized as he is in Cuba, Che's Mausoleum holds great symbolic importance, and it is the centerpiece of most visits to Santa Clara. 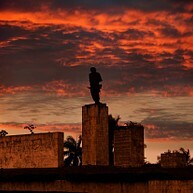 At the site of Che's Mausoleum there is also a simple but good museum dedicated to his life and struggles. Many of his personal possessions are on display, including a gun, water bottle and other artifacts, as well as an excellent photograph exhibit. 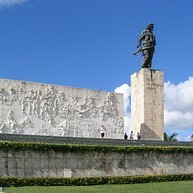 This monument commemorates the historic battle fought here by Che Guevara and a band of rebels, a decisive battle in their struggle to overturn the Batista regime. The original train cars have been in place since 1958. Visit the small museum to gain further insight into the battle and the revolution more generally. Parque Leoncio Vidal is the city's main square and principal center of civic life. 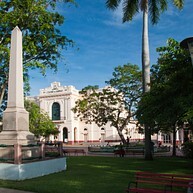 The lovely buildings that surround the square serve as public gathering points, such as the municipal library and Casa de la Cultural, while street artists and pedestrians fill the square with life. 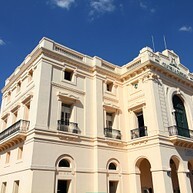 Dating back to 1810, when it was a private residence, the Museo de Artes Decorativas is the oldest building in Parque Vidal. The exhibits consist of crystals, statues and other decorative items spread throughout the beautiful home's interior. Now the city's main cathedral, it was built among a bit of controversy in the mid-20th century, as it replaced the original city church on Parque Vidal. It is home to a white statue of the Virgin Mary which was mysteriously lost for several decades, only to be found in a ditch and finally returned. Casa de la Cultura (House of Culture) is the city's premier venue for the performing arts, hosting concerts and other shows. Performances usually start at 9pm on weekdays, and every Sunday they host a street concert at 4pm. Another stunning building on Parque Vidal, Teatro la Caridad is Santa Clara's main theater, which dates back to 1885 and is one of the few remaining colonial theaters in the country. It is the main stage for several performing arts groups and orchestras. 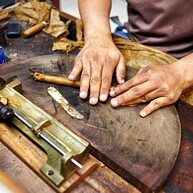 Santa Clara's main tobacco factory produces some of the best cigars in the country and can be toured at a leisurely pace. The nearby shop sells the wares of the production line, as well as rums and other products. Just minutes from the city center lies Loma del Capiro, a hill that offers stunning panoramic views of the city extending below. 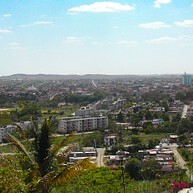 The top of the hill sports a couple of flags and metallic monument to Che Guevara.